The DiSC behavioural model is based on research conducted by Dr William Moulton Marston (1893-1947), who wanted to understand the behaviour of “normal” people in their environment or within a specific situation. He documented his findings in the book Emotions of Normal People (1928). Over the years his model has been further developed and refined, and is now used by thousands of organisations around the world to eliminate much of the mystery, misunderstanding and conflict that prevents teams from working together effectively. The key to understanding the DiSC dimensions of behaviour is to understand the two needs that drive our behaviour. There are two basic needs that influence how we behave in relation to one another: the need for affiliation and the need for control. If you want our co-workers to work well with us and give their best we need to be aware of our behaviour and the impact we have on our work relationships. DiSC assessments make this easy. The DiSC model also describes behaviours that are also easily recognisable in other people. Not only can we develop a better understanding of our own needs and behaviour, we can also build a deep understanding of the people around us, with a better insight into their unique needs and why they behave the way they do. DiSC comes in many different versions. We are accredited to deliver the internationally recognised and validated version produced by Inscape Publishing. The Inscape profiles are the most valid and reliable DiSC products on the market. Inscape is at the forefront of research and development in the application of behavioural sciences in the workplace, and has published validation reports for all of its profiles. We incorporate DiSC profiles in many of our leadership classes, and also offer DiSC reports as part of our coaching and mentoring initiatives, or as stand-alone reports where requested. 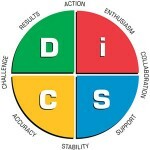 The Everything DiSC group reports help you determine a group’s DiSC culture, explore its advantages and disadvantages, discuss its effect on group members, and examine its influence on decision making and risk taking. Everything DiSC Group Culture Report Everything DiSC Facilitator Report. Contact us today for more information on any of these reports or to DiSCuss your requirements.